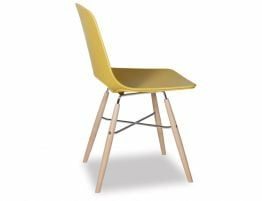 Mustard is an ultra-modern trend colour that feels subdued yet energetic. 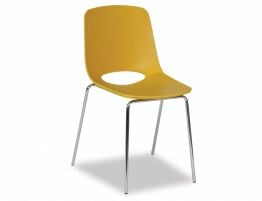 Add a splash of mustard to your kitchen or dining room with the Wasowsky maize dining chairs. 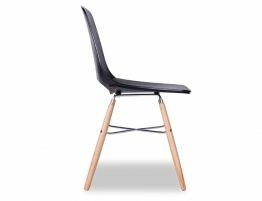 This modern plastic chair comes with your choice of chrome, white or black powder coat painted sled base. 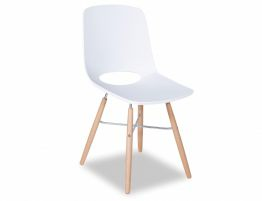 The sled base offers a stable, attractive styling to this on-trend dining chair. 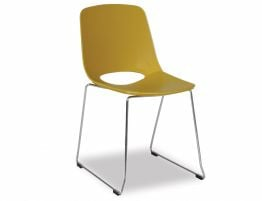 With a clean, contemporary form the mustard yellow Wasosky chair from Spanish design team Enrique Del Amo and Angel Marti offers us a modern yellow plastic chair with high marks for design and perfect materials for your busy family kitchen or even modern commercial dining chairs. 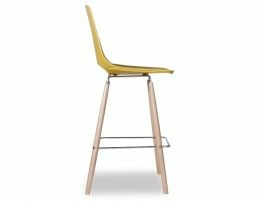 Built tough for even the busiest of dining spaces, this yellow casual dining chair offers a soft molded seat and back with a stable steel sled style base. 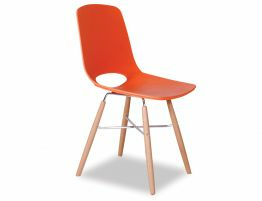 Whether you are in search of a yellow task chair, yellow dining chair, modern yellow desk chair, consider this chic, contemporary chair from OOland.